Peaceful McGee Beach stretches along the Corpus Christi Bay in the downtown area. This beautiful hideaway hosts the perfect destination for fishing, swimming and more because the waves don’t reach the shore. Enjoy the soft sands and minimal seaweed with a concession stand and restaurant nearby. McGee Beach is a sunny hot spot that is perfect for enjoying an array of favored beach activities. Visitors of all ages will enjoy water sports and activities. Whether fishing from the jetties or splashing in the water, you are sure to find this excellent location perfect for your visit to the beach. The tranquility of McGee Beach is perfect for the entire family. 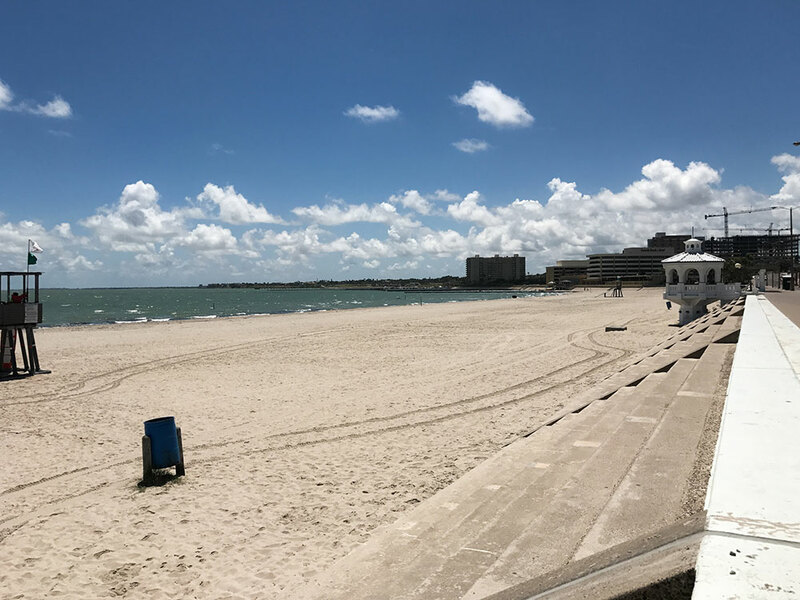 The eye-pleasing scenery of the seawall and downtown Corpus Christi compliments the pristine waters and creates the ideal relaxing beach environment. McGee Beach is located at 222 S. Shoreline Blvd. in Corpus Christi. Visitors can call 361-826-3469 for additional information and beach conditions.